Chandigarh Literary Society (CLS) and Chandigarh Administration will be hosting the Chandigarh literature festival, “Literati 2013”, to be held on November 23-24. 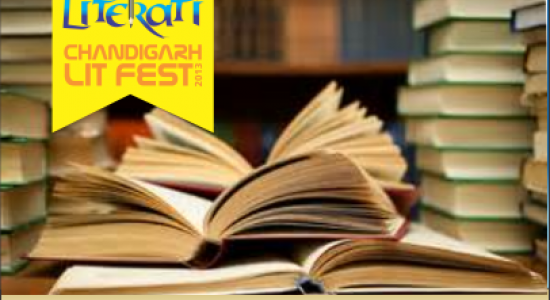 Authors from various genres will be attending the fest which is being organized near Chandigarh’s Sukhna Lake. The event will see authors like Bhaskar Ghose, Irshad Kamil, Prasoon Joshi, Rahul Bose, Jerry Pinto, Upamanyu Chatterjee, Kishwar Desai, Madhu Kishwar, Navtej Sarna, Ashok Vajpeyi, Gul Panag, Meghna Pant, Gobind Misra, Nandita C. Puri, Pushpesh Pant and Rahul Pandita, Chandigarh Literary Society chairperson Sumita Misra said on Tuesday. Literati 2013 will include sessions on English, Hindi and Punjabi literature with discussions like ‘Exotica is the New Erotica’, ‘The Four Letter Words: All Between Love and Hate’, ‘Women and the Paradox of the Modernity’, ‘Dissent, Discourse and Diaspora’, ‘Religion and Politics: Oxygen or Position lined up over the two days. Several book launches are also being planned during the event. A website, which will keep track of the events as they unfold, was also launched by the organizers. Madhav Kaushik, CLS secretary, said the literary festival was a celebration of creativity to encourage and inspire young writers in the region. Since its formation in 2012, CLS has hosted authors like Anupam Kher, Navtej Sarna, Pavan Varma, Ketan Bhagat and Yousuf Saeed among others.